Unprecented in Singapore! 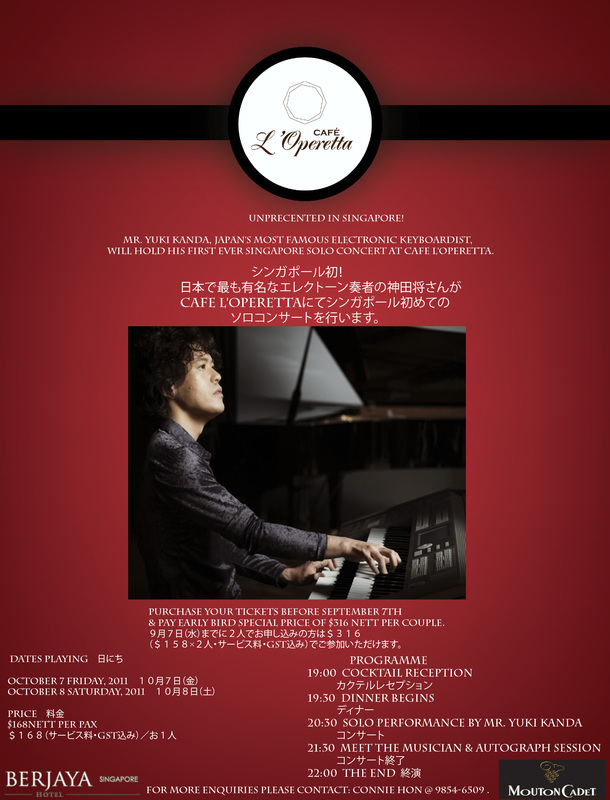 Mr. Yuki Kanda, Japan’s most famous electronic keyboardist, will hold his first ever Singapore Solo Concert at Cafe L’Operetta. Experience surreal masterpieces performed by Mr. Kanda. 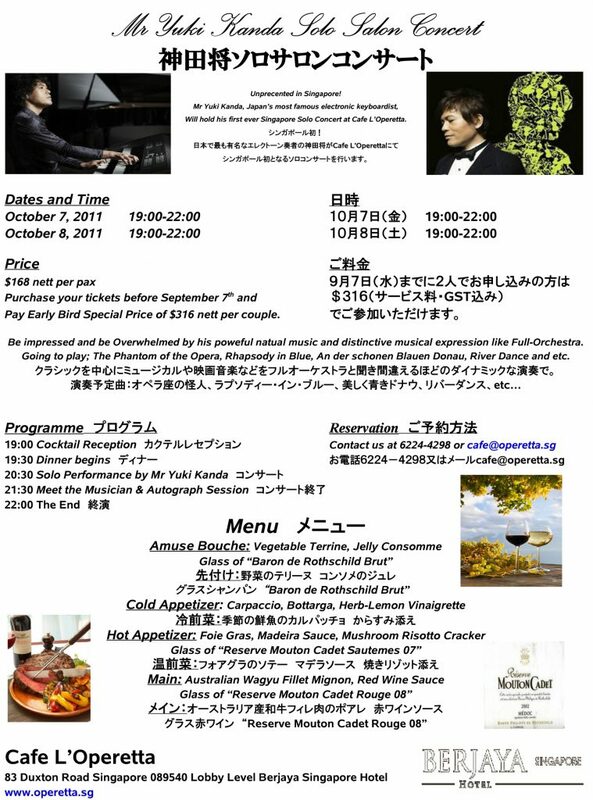 Be Impressed and be Overwhelmed by his powerful natural music and distinctive musical expressions like Full-Orchestra. Pamper yourself to a beautiful evening after a tedious week. A fine meal featuring Foie Gras as the appetizer, Australian Wagyu Filet Mignon as the main course and matching premium wines form part of these evenings’ programme. Purchase your tickets before September 7th & Pay Early Bird Special Price of $316 nett per couple.